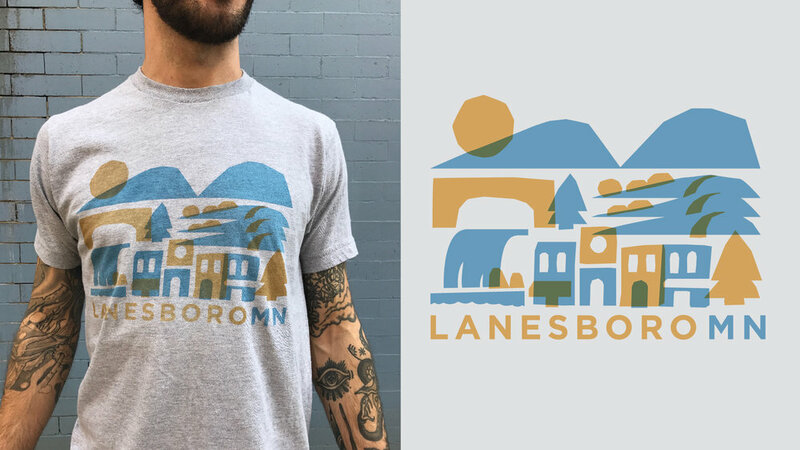 Lanesboro, Minnesota needed a tee shirt that reflected the town's status as a nature and art retreat. We landed on this idea, a geometric landscape inspired by Matisse's cut outs. A small and quick project but one we are proud of still.